But alas, The Midnight Witch just has so. many. problems. Although the content is pretty delightful, the writing just… isn’t. Sentences are oddly repetitive and it breaks the cardinal rule of writing again and again: show, don’t tell. Everything important is told through dialogue and lengthy exposes. The whole technique is tedious. For that matter, I felt like the plot was riddled with unfinished business and ill-realized devices. At the beginning of the book, Lilith’s relationship with her father is very important to her and she seeks his approval at every turn. I wasn’t surprised that he lashed out when she told him about Bram but then we never heard from him again. I really expected to have a reconciliation at the end, but there was zero mention of his spirit again. Lilith is not the most engaging narrator and several of the supposed twists are entirely predictable. But that doesn’t necessarily mean it was all bad! Bram is a fairly entertaining and broody love interest and I found the romance more believable than many readers did. Lilith’s relationships with Charlotte and Iago are charming and the descriptions of early 20th century English high society are always fun. Still, there was a lot of room for magical realism in the collision of a pagan world with high society that just went unrealized. 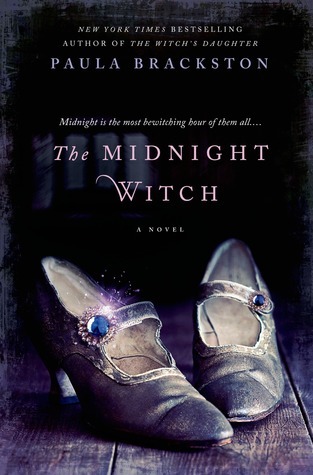 What did you think of The Midnight Witch?